Dice tomatoes in food processor and drain off most (not all) the juice. Place in mixing bowl, stir in salt, pepper and sugar. 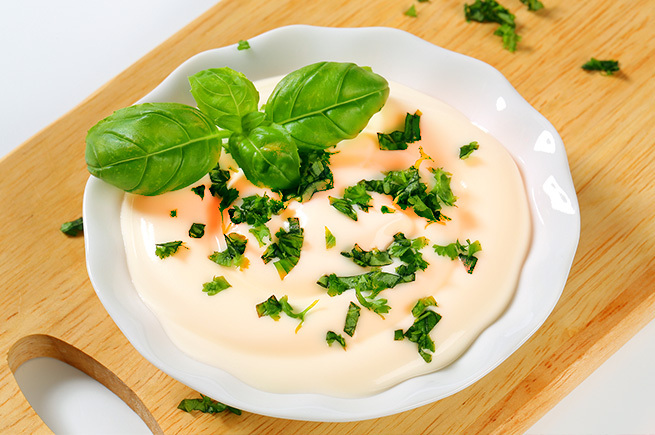 Add mayonnaise and mix in chopped basil. Season to taste.